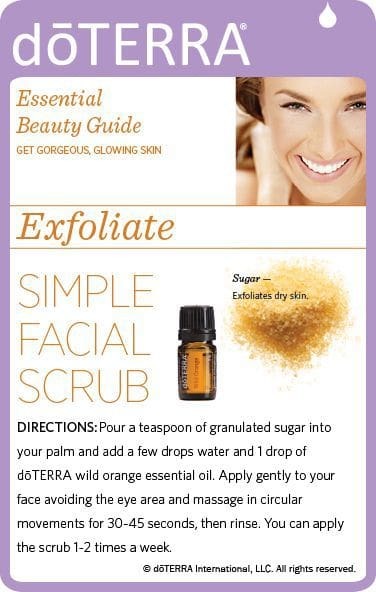 You are going to love my list of these doTERRA sugar scrub recipes, salt scrubs, body scrubs and other DIY spa treatments. You are going to save a lot of money now. You won’t have to go to the spa ever again. You can make your own all-natural spa treatments at home now. 8 Homemade Hand & Body essential oil sugar Scrub recipes using doTERRA essential oils! These will leave your skin feeling hydrated and smooth. What do you think about an essential oil sugar scrub? How do they make you feel? Do you use them just for your face? If not, what else do you use them for? Do you like these doTERRA essential oil sugar scrub recipes and do you have others you like too? Please comment below and let me know! I am interested in doTerra. Please send me info! I just signed you up for my email list. Please let me know if you have any other questions.